For a while large mammoth-like SUVs were put on the back burner as gas prices rose to unprecedented levels. Although petrol fill-ups required some to take out bank loans or run up credit card bills, automakers like Toyota stayed the course to keep their large SUV segment strong despite it being an afterthought for many who would rather avoid indulging in excess in their life. 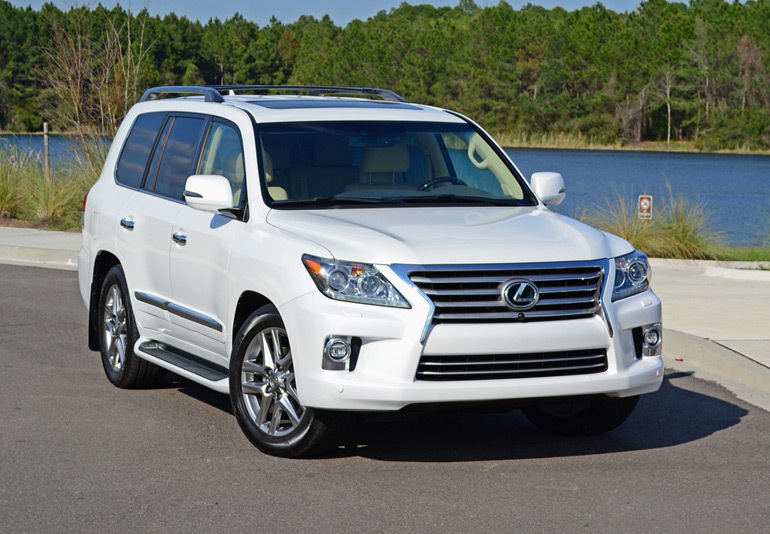 For others, there remains vehicles like the Toyota Land Cruiser and its closely-matched sibling, the new 2014 Lexus LX 570. This week we are going to spend some quality time behind the wheel on local and highway roads in the new Lexus LX 570. Other than the as-tested price of $89,000, we find the LX 570 to be a pleasing beast that has a passive driving style without acting like you would expect at vehicle tipping the scale at 6,000 pounds. As a premium luxury SUV roaming the earth in plush Lexus-physic, the new LX 570 is among a rarity in the automotive world but still has an avid following, which refuses to seek any alternatives and so far I can see why.